Kershaw's Damascus Chive is a gem of a knife, fit for pocket or purse. It's small enough for comfortable, unobtrusive carry yet with enough chutzpah to tackle tough cutting tasks. With a handsome, 416-layer Alabama Damascus steel blade that's just shy of 2", paired with bead-blasted stainless steel handle scales, the Damascus Chive is classy and capable. 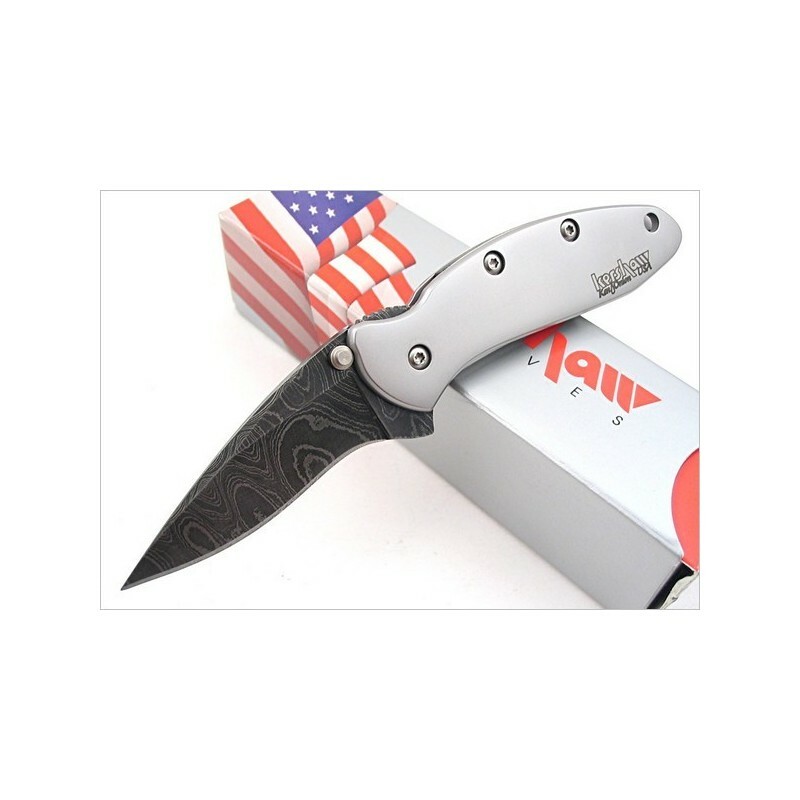 The Damascus Chive is equipped with Kershaw's SpeedSafe assisted opening system for quick one-handed opening. It's designed with not one, but two blade locks for maximum safety: a framelock to keep the blade open when you want it open and Kershaw's Tip-Lock slider to lock it closed when you want it closed. 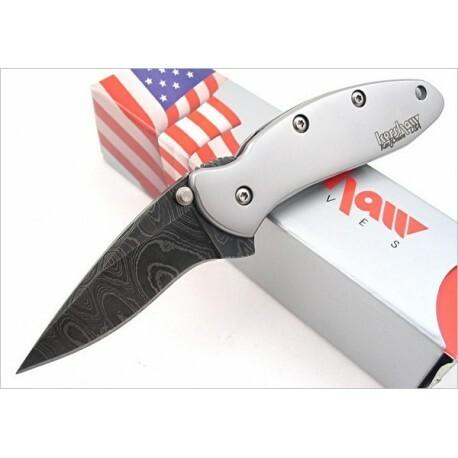 First introduced in 2005, it was awarded "Most Innovative American Design" at the annual Blade Show of that same year. The Damascus Chive comes with a sturdy steel pocket clip for safe carry and convenience.